In 1876, the Liverpool Catholic Reformatory Association opened a Reformatory School for Roman Catholic Girls May Place, Broad Green Road, Old Swan, Liverpool. 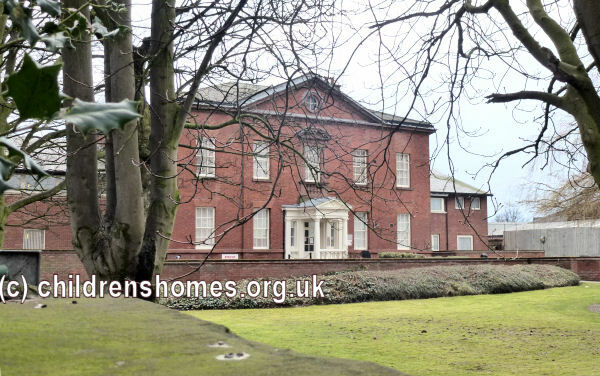 It replaced the Association's previous institution at St Helens whose small size and inconvenient location had led to its closure. 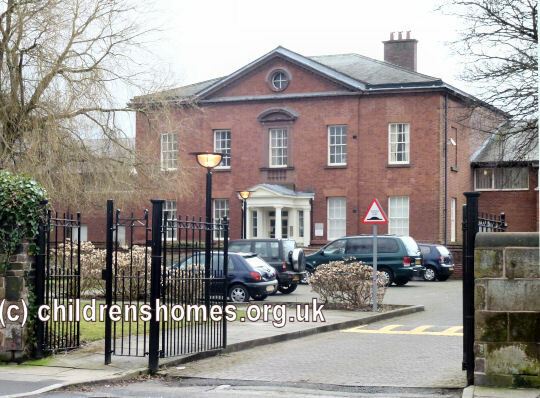 The new premises were officially certified for operation on November 24th, 1876, with accommodation for 70 girls. The School was managed by a Sister Superior assisted by three Sisters of Charity, together with a laundress and gardener. The School site is shown on the 1908 map below. Lancashire Reformatory for Roman Catholic Girls site, Liverpool, c.1908. Although a great improvement on the previous location, early official inspections noted that a bathroom and washroom had been located in the basement, which was cold and damp. A new wash-house and laundry were constructed in 1879. As well as laundry work, the girls were instructed in needlework, machine work and knitting. The girls also assisted in the kitchen and did the household work, with domestic service viewed as their most likely future employment. A great deal of disturbance took place in the early part of 1880. A disagreement between the Catholic Reformatory Association and the Sisters of Charity led to the Sisters withdrawal from May Place. A superintendent, Mrs Lee, was then appointed, replaced later the same year by Miss A.M. Donovan. The change in management resulted in great disorder and violent conduct amongst the inmates. Fourteen of the girls were sent to prison for three months and afterwards transferred to another Reformatory. On February 2nd, 1901, management of the establishment was placed in the hands of Sister Catherine Reeves and two Sisters of the Order of St Vincent de Paul. The former superintendent, Miss Donovan, left as did the two laundresses and sewing mistress. The schoolmistress, Mrs Breslin, remained in post although was succeeded on April 19th by Miss Kate Smith, herself replaced on August 6th by Mrs Kearney. Laundry work continued to be the main industrial occupation of the girls, an activity which brought a good income for the School. In 1902, it was reported that a visiting teacher had given a course of cookery lessons to the girls. Musical drill with dumb-bells was being carried on regularly. There were several treats arranged for the girls during the year, and regular walks were taken. In 1910, a new wing was completed which contained a laundry and chapel. The former chapel was converted to a schoolroom, with the old schoolroom becoming a sewing room. The old ironing room was turned into a play hall, and the old drying room was taken over for shoemaking. Other events that year included a Christmas tea party, an old girls reunion, a day at Southport, and several summer picnics. The School was closed in 1922. The site was later home to St Vincent's Hospice. The property is now used as sheltered housing.